Water proof emergency rain coat with a hood which is supplied folded in a compact polybag. Branding is on the polybag with a digital label which can be printed in spot colours or stunning full colour. Colours: Clear. Dimension: Unpacked: W 1515mm x L 1260mm. Print Description: 100mm x 70mm (plus bleed if required). Print Type: Digital Label. Packing: Loose packed. Description: Don''t worry about what Mother Nature has in store, just bring along the Kinney Packable Jacket. This versatile and durable garment has a water repellent finish, back venting and packs into its own pocket. Choose from 6 stylish colours. 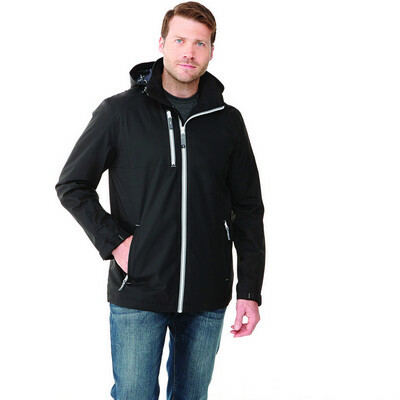 Features: Centre front exposed coil zipper, Interior zipper flap, Lower exposed coil zipper pockets, Hood with elasticized opening, Elasticized cuffs, Elastic drawcord at hem with interior cordlocks, Dropped back hem, Easy grip zipper pulls, Heat transfer main label for tagless comfort, Articulated elbows, Back vent, Packable, Hood snap tab and loop for roll-up option. Packaging: Polybag.. Colour: Vintage Navy, Team Red, Saffron, Olympic Blue, Dark Citron Green, Black Material: 100% Polyester 240T with water resistant (600mm) coating and water repellent finish. 80 g/m² (2.4 oz/yd²). Product Size: S - 5XL (4XL and 5XL selected colours only). 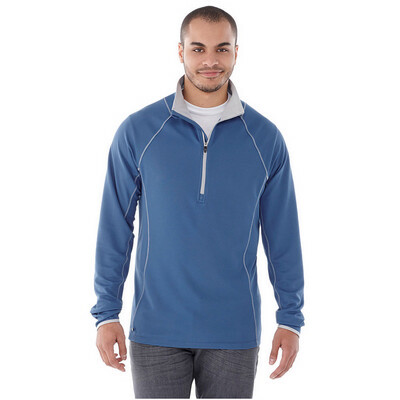 Description: The Caltech long-sleeve top has a quarter zip with contrast teeth allowing you to adjust your body temperature. 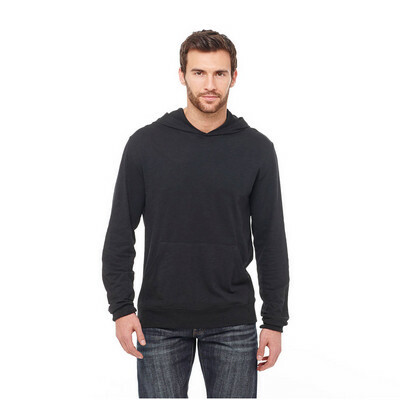 The interior zipper flap protects you from the chill of the zipper against your skin. Features: Superior stretch and comfort, Centre front zipper with contrast teeth and autolock zipper pull, Interior zipper flap, Coverstitching on seams, Heat transfer label for tagless comfort, Dropped back hem. Packaging: Polybag. Colour: Vintage Red, Steel Grey, Olympic Blue, Navy, Black Material: 87% Polyester 13% Spandex jersey knit. 222 g/m2 (6.6 oz/yd2). Product Size: S - 5XL (4XL and 5XL selected colours only). 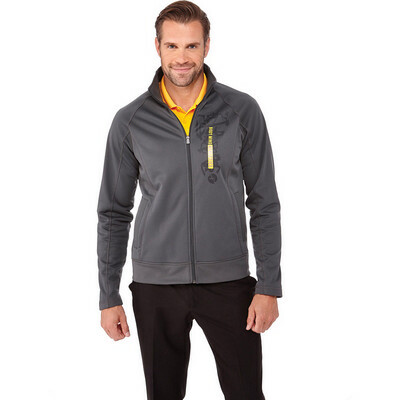 Description: Part of the award winning ONE Collection, the next ONE garment is the Knew Knit Half Zip. The Knew ONE breaks boundaries with its superior styling and advanced fabrication. It is available in five amazing colors with inner accent colours and contrast stitching. The Knew ONE is a performance piece that features Webtech properties with a wicking finish to help you stay dry and feel comfortable. Its retail silhouette and trendy styling creates a canvas ready for your brand to be decorated in our most innovative techniques. Features: Centre front exposed contrast reverse coil zipper, Contrast narrow coverstitch detail, Contrast collar detail, Exterior back hem key pocket, Interior zipper flap with chin guard, Contrast metal rivet. Packaging: Polybag. Colour: Team Red/Silver, Steel Grey/Silver, Pacific Blue/Silver, Black/Silver, Aspen Blue/Hi-Liter Green Material: 100% Polyester textured knit with wicking finish. 185 g/m2 (5.5 oz/yd2) Contrast:100% Micro polyester interlock knit with wicking finish. Product Size: S - 5XL (4XL and 5XL selected colours only). 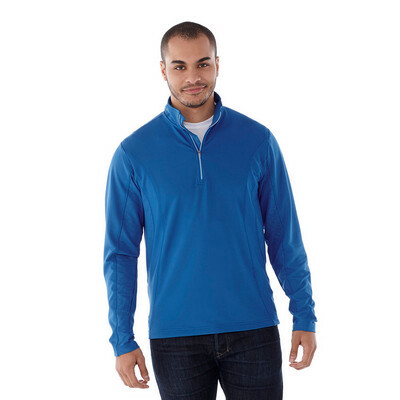 Description: The Taza Knit Quarter Zip is 100% Micro polyester cross-dyed jersey knit with anti-microbial finish, snag resistant and wicking finish. 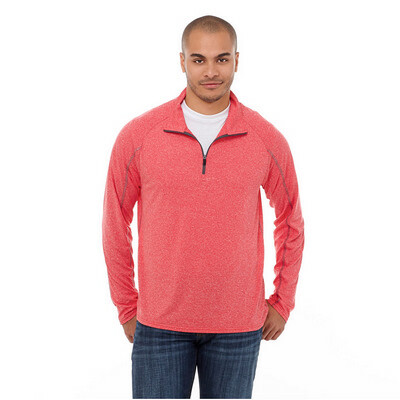 This retail flare knit features contrast reverse coil zipper with autolock pull and sleeve cuffs with thumb exit. 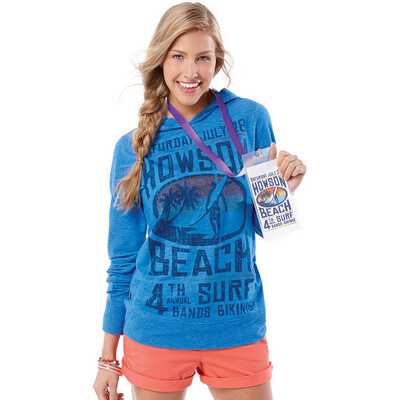 When you need music by your side, this knit features an added exterior media cord guide. Available in four bright and bold colours, the Taza is a versatile knit that works over a polo, woven or tee. This is also a great knit when active because of its Webtech properties, which help channel sweat away. Features: Centre front exposed contrast reverse coil zipper, Sleeve cuffs with thumb exit, Contrast coverstitching, Heat transfer main label for tagless comfort, Autolock zipper pull, Exterior media cord guide, Zipper garage centre front feature. Packaging: Polybag.. Colour: Team Red Heather, New Royal Heather, Heather Dark Charcoal, Apple Heather Material: Fabric: 100% Micro polyester cross dyed jersey knit with anti-microbial and wicking finish, 150 g/m² (4.4 oz/yd²). UV Protection: UPF 15-39. Product Size: S - 5XL. 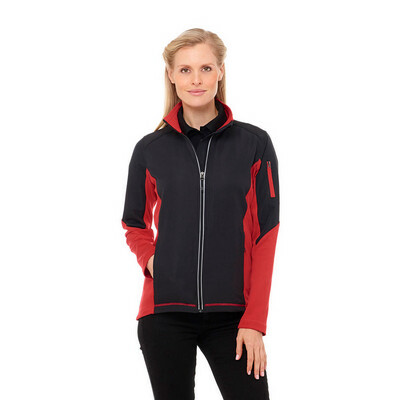 Description: This 100% polyester jersey knit jacket has a brushed back detail and is equipped with mesh pocket bags. The Okapi s versatility and 4 colour options makes it a great choice for university and team jackets or everyday wear. Features: Centre front exposed coil zipper, Autolock zipper pull, Lower welt pockets, Interior media exit port. Packaging: Polybag. Colour: White, Sport Red, Olympic Blue, Navy, Grey Storm, Black Material: 100% Polyester jersey knit with brushed back. 195 g/m2 (5.6 oz/yd2). Product Size: S 5XL (4XL and 5XL selected colours only). d exposed contrast reversed coil zipper pockets, Hood with elastic drawcord and exterior cordlocks, Articulated elbows. Packaging: Polybag. Colour: Team Red/Black Smoke, Olympic Blue/Black Smoke, Grey Storm/Black, Fossil/Grey Storm, Amazon Green/Black Material: Outer Shell: 94% Polyester / 6% Spandex woven bonded to 100% Polyester graphic pattern anti-pill microfleece with waterproof, breathable membrane and water repellent finish. 275 g/m2 (8.1 oz/yd2). Contrast: 95% Polyester / 5% Spandex ripstop woven bonded to 100% Polyester graphic pattern anti-pill microfleece with waterproof, breathable membrane and water repellent finish. 275 g/m2 (8.1 oz/yd2). Lining: 100% Polyester graphic pattern anti-pill microfleece pocket bags. Product Size: S 5XL (4XL and 5XL selected colours only). 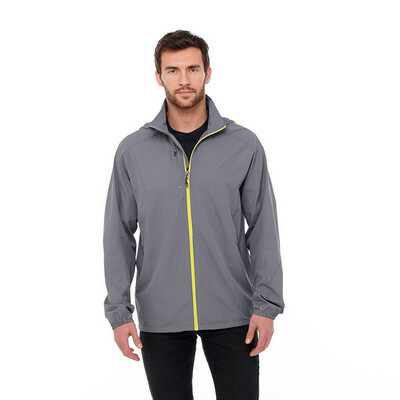 Description: The Arusha insulated jacket features a graphic pattern woven with a water resistant coating and water repellent finish. The tonal pattern adds character and style in four staple colours. Turn to the Arusha jacket during extreme cold weather with its Thermaltech protection. A great jacket for corporate, team, school and resort wear. Features: Interior storm flap, Dropped back hem, Detachable zip off contour hood with drawcord Interior zipper pockets, Articulated elbows. Packaging: Polybag. Colour: Navy, Grey Storm, Black, Aspen Blue Material: Outer Shell: 100% Polyester graphic pattern with water resistant coating and water repellent finish. 75 g/m2 (2.2 oz/yd2). 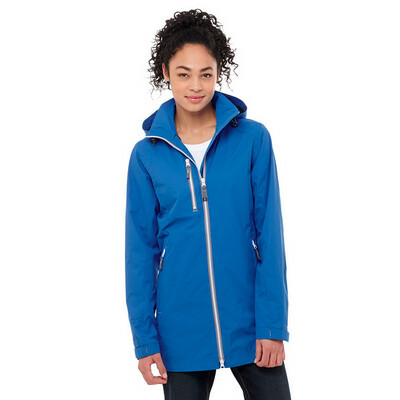 Contrast: 100% Polyester with water resistant coating and water repellent finish. Lining: 100% Polyester taffeta body. 100% Polyester mesh interior pocket. Fabric Insulation: 100% Polyester soft fill body and collar. 160 g/m2 (4.7 oz/yd2). 100% Polyester soft fill sleeves. 140 g/m2 (4.1 oz/yd2). 100% Polyester soft fill hood. 60 g/m2 (1.8 oz/yd2). Product Size: S - 5XL (4XL and 5XL selected colours only). Description: Don''t worry about what Mother Nature has in store, just bring along the Kinney Packable Jacket. This versatile and durable garment has a water repellent finish, back venting and packs into its own pocket. Choose from 6 stylish colours. 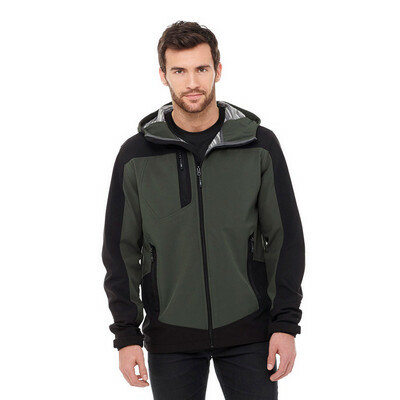 Features: Centre front exposed coil zipper, Interior zipper flap, Lower exposed coil zipper pockets, Hood with elasticized opening, Elasticized cuffs, Elastic drawcord at hem with interior cordlocks, Dropped back hem, Easy grip zipper pulls, Heat transfer main label for tagless comfort, Articulated elbows, Back vent, Packable, Hood snap tab and loop for roll-up option. Packaging: Polybag.. Colour: Vintage Navy, Team Red, Saffron, Olympic Blue, Dark Citron Green, Black Material: 100% Polyester 240T with water resistant (600mm) coating and water repellent finish. 80 g/m² (2.4 oz/yd²). Product Size: XS - 3XL (3XL selected colours only). 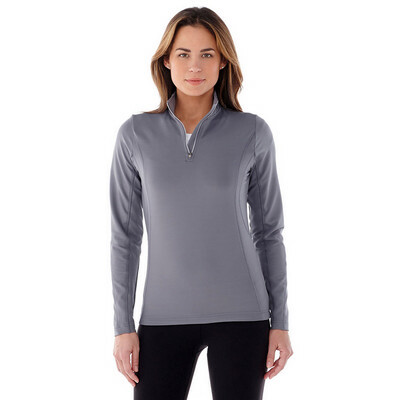 Description: The Caltech long-sleeve top has a quarter zip with contrast teeth allowing you to adjust your body temperature. 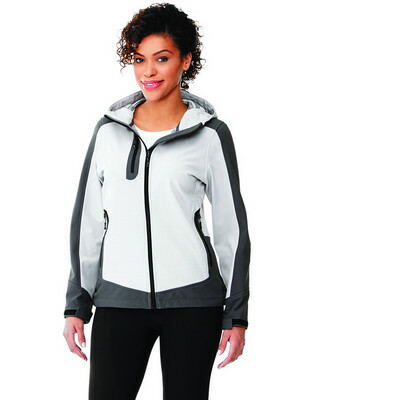 The interior zipper flap protects you from the chill of the zipper against your skin. Features: Superior stretch and comfort, Centre front zipper with contrast teeth and autolock zipper pull, Interior zipper flap, Coverstitching on seams, Heat transfer label for tagless comfort, Dropped back hem. Packaging: Polybag. Colour: Vintage Red, Steel Grey, Olympic Blue, Navy, Black Material: 87% Polyester 13% Spandex jersey knit. 222 g/m2 (6.6 oz/yd2). Product Size: XS - 3XL (3XL selected colours only). 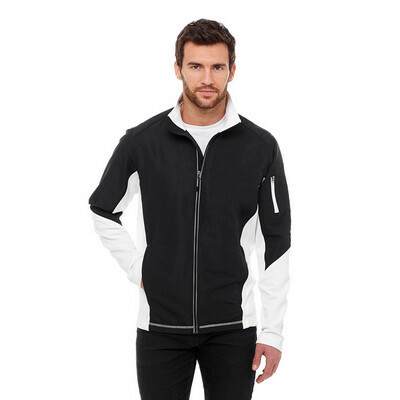 Description: Part of the award winning ONE Collection, the next ONE garment is the Knew Knit Half Zip. The Knew ONE breaks boundaries with its superior styling and advanced fabrication. It is available in five amazing colors with inner accent colours and contrast stitching. The Knew ONE is a performance piece that features Webtech properties with a wicking finish to help you stay dry and feel comfortable. Its retail silhouette and trendy styling creates a canvas ready for your brand to be decorated in our most innovative techniques. Features: Centre front exposed contrast reverse coil zipper, Contrast narrow coverstitch detail, Contrast collar detail, Exterior back hem key pocket, Interior zipper flap with chin guard, Contrast metal rivet. Packaging: Polybag. Colour: Team Red/Silver, Steel Grey/Silver, Pacific Blue/Silver, Black/Silver, Aspen Blue/Hi-Liter Green Material: 100% Polyester textured knit with wicking finish. 185 g/m2 (5.5 oz/yd2) Contrast:100% Micro polyester interlock knit with wicking finish. Product Size: XS - 3XL (3XL selected colours only). 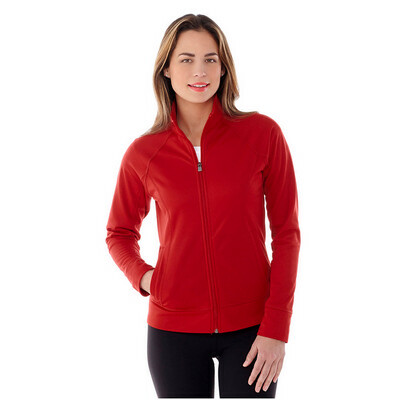 Description: This 100% polyester jersey knit jacket has a brushed back detail and is equipped with mesh pocket bags. The Okapi s versatility and 4 colour options makes it a great choice for university and team jackets or everyday wear. Features: Centre front exposed coil zipper, Autolock zipper pull, Lower welt pockets, Interior media exit port. Packaging: Polybag. Colour: White, Sport Red, Olympic Blue, Navy, Grey Storm, Black Material: 100% Polyester jersey knit with brushed back. 195 g/m2 (5.6 oz/yd2). Lining: 100% Polyester mesh pocket bags. Product Size: XS - 3XL (3XL selected colours only). 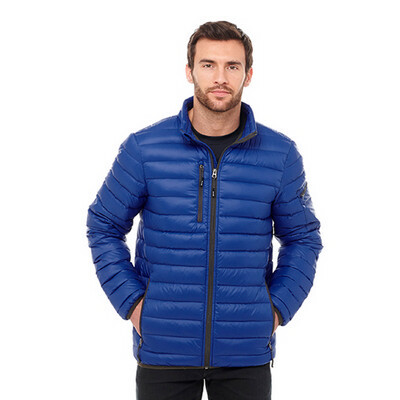 Description: Make a statement while you take on the elements in our Kangari Softshell Jacket. 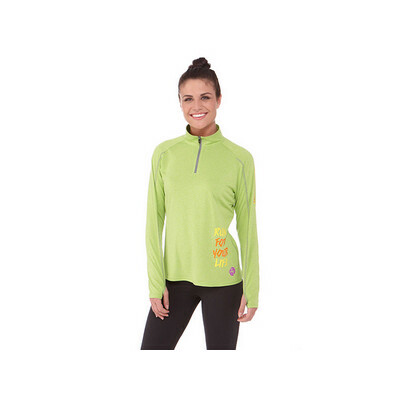 The polyester/Spandex weave with anti-pill fleece interior is the ideal mix of water repellence and comfort. 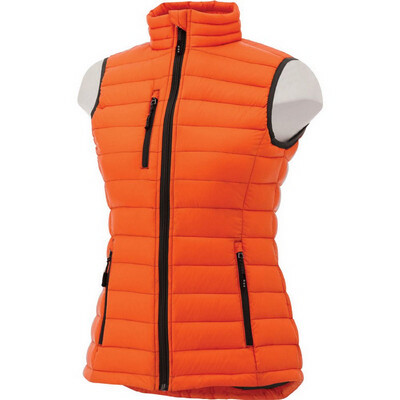 Available in 5 colour combinations the stylish waterproof breathable garment looks as great as it feels to wear. Features: Centre front exposed contrast coil zipper, Centre front easy grip zipper pull with interior storm flap, Upper and lower welded exposed contrast reversed coil zipper pockets, Hood with elastic drawcord and exterior cordlocks, Articulated elbows. Packaging: Polybag. Colour: Team Red/Black Smoke, Olympic Blue/Black Smoke, Grey Storm/Black, Fossil/Grey Storm, Amazon Green/Black Material: Outer Shell: 94% Polyester / 6% Spandex woven bonded to 100% Polyester graphic pattern anti-pill microfleece with waterproof, breathable membrane and water repellent finish. 275 g/m2 (8.1 oz/yd2). Contrast: 95% Polyester / 5% Spandex ripstop woven bonded to 100% Polyester graphic pattern anti-pill microfleece with waterproof, breathable membrane and water repellent finish. 275 g/m2 (8.1 oz/yd2). Lining: 100% Polyester graphic pattern anti-pill microfleece pocket bags. Product Size: XS - 3XL (3XL selected colours only). 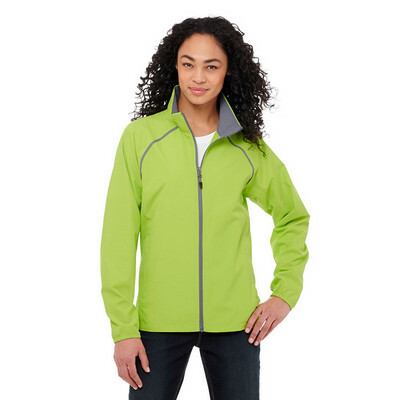 Description: The Arusha insulated jacket features a graphic pattern woven with a water resistant coating and water repellent finish. The tonal pattern adds character and style in four staple colours. 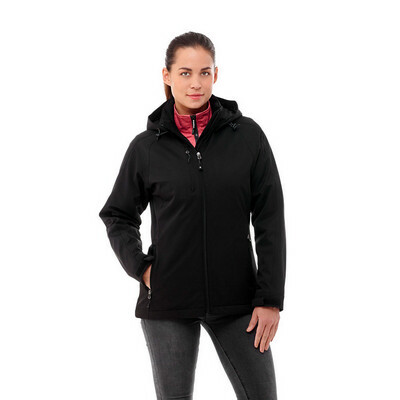 Turn to the Arusha jacket during extreme cold weather with its Thermaltech protection. A great jacket for corporate, team, school and resort wear. Features: Interior storm flap, Dropped back hem, Detachable zip off contour hood with drawcord, Interior zipper pockets, Articulated elbows. Packaging: Polybag. Colour: Navy, Grey Storm, Black, Aspen Blue Material: Outer Shell: 100% Polyester graphic pattern with water resistant coating and water repellent finish. 75 g/m2 (2.2 oz/yd2). 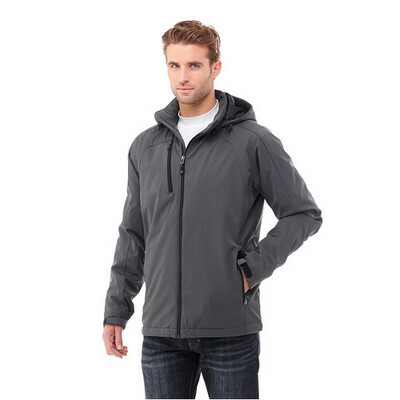 Contrast: 100% Polyester with water resistant coating and water repellent finish. Lining: 100% Polyester taffeta body. 100% Polyester mesh interior pocket. Fabric Insulation: 100% Polyester soft fill body and collar. 160 g/m2 (4.7 oz/yd2). 100% Polyester soft fill sleeves. 140 g/m2 (4.1 oz/yd2). 100% Polyester soft fill hood. 60 g/m2 (1.8 oz/yd2). Product Size: XS - 3XL (3XL selected colours only).